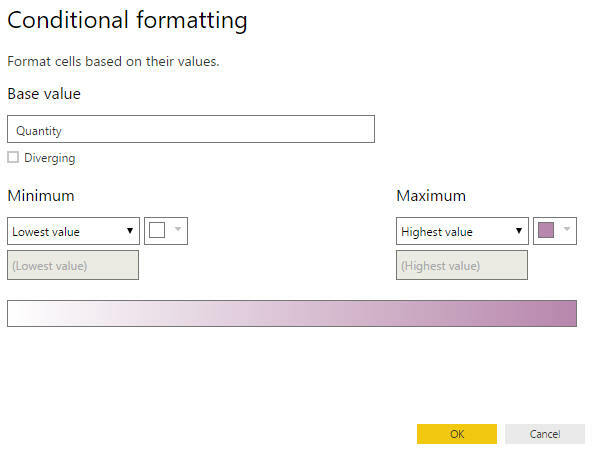 A summary of the new features in the November 2016 Power BI Update, omitting things which are still only in preview. You can see a list of all updates going back to November 2016 (this update) here. Here I've coloured the matrix cells according to the total quantity shown in each. 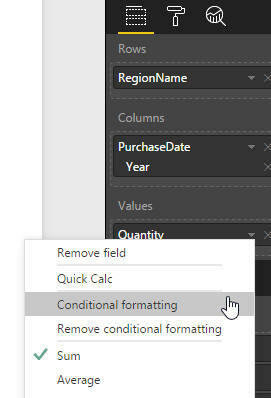 Here we're showing the total quantity for each row/column combination, so click on the arrow to the right of Quantity and choose to change its conditional formatting. Tick the Diverging box shown above to include an additional colour for the middle value.